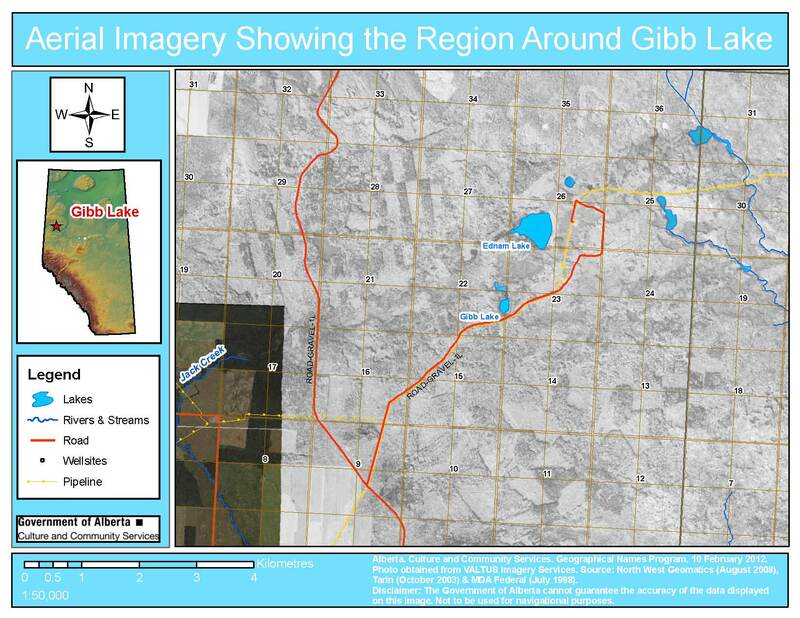 The Alberta Historical Resources Foundation and the Minister of Culture and Community Services has officially adopted the name Gibb Lake for a previously unnamed lake in Clear Hills County. The small lake is located approximately 16 kilometres north east of the Village of Hines Creek. The newly adopted name serves two commemorative purposes. Firstly, it commemorates the family of William and Christina Gibb, early homesteaders in the Hines Creek region. Secondly, it commemorates the service of their sons, many of whom served in the armed forces, particularly Private Stanley Alexander Gibb, Loyal Edmonton Regiment, R.C.I.C., who lost his life during the conflict. William Gibb was born about 1899; he was raised in the Gordon district of the Scottish borderlands where he worked as a farmer or farm labourer. His wife Christina, who was born about 1901, was from Newtyle, Scotland. In 1925, they and their four sons (Charles Howard, aged 5; Stanley Alexander, aged 3; David William, aged 2; and three month old John William) immigrated to Canada aboard the Canadian Pacific liner SS Marburn. They arrived in Quebec on August 22 and immediately traveled to Wolseley, Saskatchewan where William was employed as a farm labourer in the employ of a Mr. Alex Callander. The family moved to Fairview, Alberta in 1928 and William Gibb filed for a homestead in the relatively unsettled Hines Creek region (NE ¼, Section 5, Township 85, Range 4, West of the 6th Meridian). The family would grow to include eight children – Charles, Stanley, David, John, Marjorie, William and Chris. While proving up the homestead, William Gibb Sr. became an active member of the community. In addition to farming, he worked on regional road crews and served as a trustee for the Ednam School District No. 4359 (the school district being named for the market town of Ednam, Scotland, which was near William Gibb’s birthplace). According to a long-time resident of the region, the Gibb’s also provided entertainment at community gatherings with their singing (in Gaelic) and traditional Scottish dancing. Despite only clearing 10 of the required 30 acres, the Gibb family was granted title to their land in December 1935. The inspection agent determined that the Gibb’s land was extraordinarily difficult to clear and declared that the 10 acres was equal to 30 acres of cleared land elsewhere in the province. With clear title to their land, the Gibb’s existence should have been more stable. However, their lives, like those of many Alberta families, were irrevocably disturbed with the outbreak of war in 1939. A number of the Gibb sons enlisted for service. It has not been possible to track down records for many of them, but Stanley’s service records indicate that he had two brothers (unnamed) serving, one with the Royal Navy and the other with the Royal Air Force. However, since the lake became officially named, more information has been revealed by a family member (William Gibb Jr.), which suggests strongly that Stanley’s Service Record may be inaccurate or incomplete. – Chris Gibb served with the Royal Canadian Air Force from 1953 to 1956. The Gibb’s second son, Stanley Alexander Gibb, had perhaps the most interesting and ultimately the most tragic experience. Stanley served as a Private with the Loyal Edmonton Regiment. 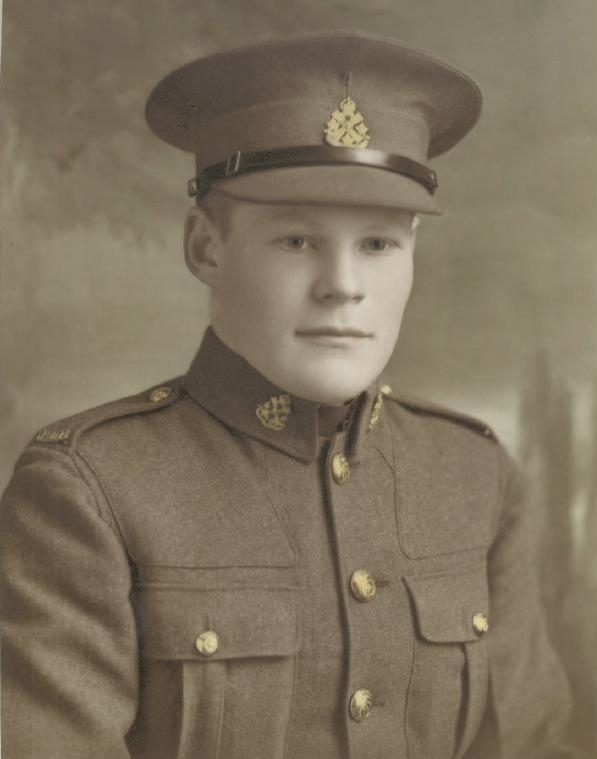 In his enlistment papers he stated that he was employed as a farm labourer and expressed interest in training as either a mechanic or a railroad engineer. He also indicated that he collected stamps and enjoyed boxing and baseball (he played third base). 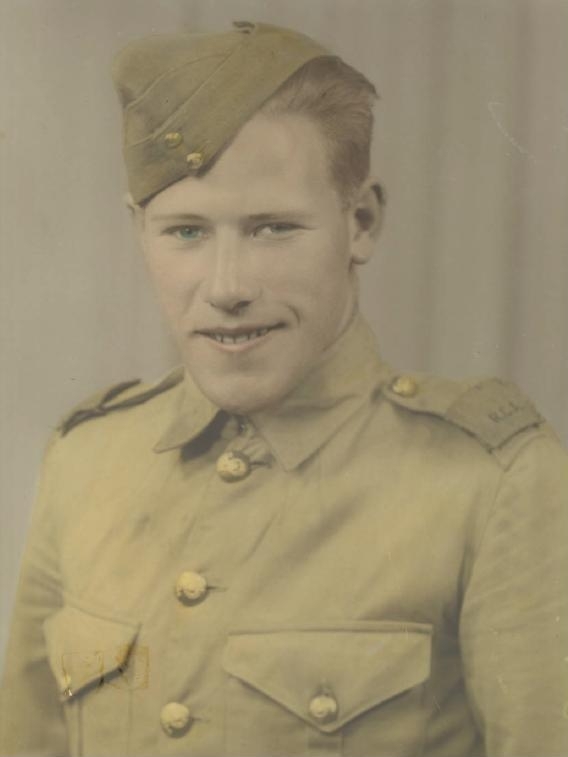 He trained in Calgary and embarked for Great Britain in August 1941 where he received further training, served garrison duties and was temporarily assigned to a Mechanical Transport Vehicle Reception Depot. In June 1943, Private Gibb was deployed to the Mediterranean. Soon after arrival in North Africa, he contracted malaria and spent three weeks in hospital. The Loyal Edmonton Regiment was actively involved throughout the Italian campaign, but Private Gibb’s role in most of these engagements is not known. However, on October 22, 1943, The Regiment fought in a battle that became known as the Savio Bridgehead. The Loyal Edmonton Regiment and the Seaforth Highlanders of Canada launched supporting attacks to the Princess Patricia Canadian Light Infantry’s second attempt to cross the Savio River just north of Cesena and gain a foothold on the opposite bank. The attack began with an artillery barrage at 8pm. By 9pm, the Edmontons were in the fast flowing river and attempting to reach the other side. An early setback occurred when Major W. G. Longhurst, the commander of the first company to attempt the crossing, was killed. A second company joined the fight and the Edmontons recovered. The crossing continued until daylight, when they reached Case Gentili, a small hamlet west of the river. The Regiment received Battle Honours for their actions in this engagement. For most of the Regiment, the fight continued. However, during the crossing, Private Stanley Alexander Gibb had stepped on a landmine. According to his service record, he suffered the traumatic amputation of his right foot and severe wounds to both legs and both arms. He was evacuated to a field hospital and underwent surgery, having his right leg amputated at the knee and his right arm amputated above the elbow. His post-operative condition was listed as stable, but infection and fever set in the following day, from which he did not recover. Private Stanley Gibb died of his wounds on October 27, 1944. He is buried in the Cesena War Cemetery, in the Italian province of Forli. During the war, William and Christina sold the Peace Country farmstead and relocated to Vancouver Island, where much of the family remains today. The application to have Gibb Lake adopted as the official name for that lake was made by a member of the Clear Hills Watershed Initiative in September 2009. The proposal was supported by the Municipal Council of Clear Hills County and the local MLA. 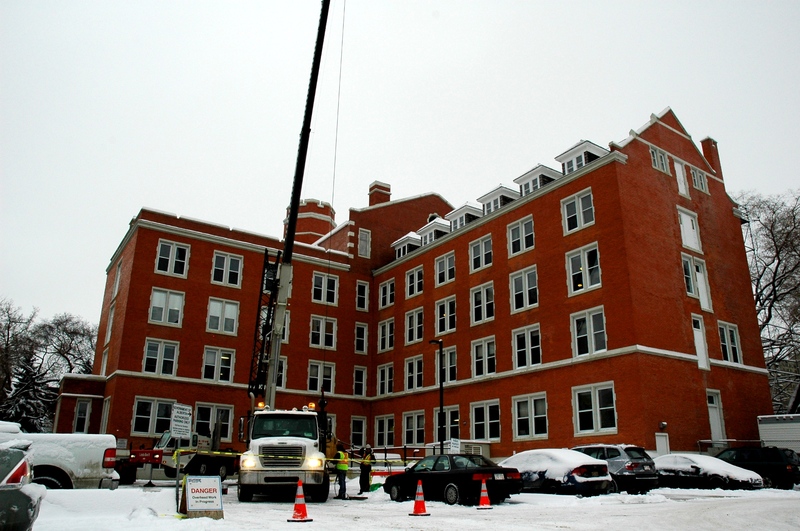 After considerable research, the proposal was presented to the Board of the Alberta Historical Resources Foundation during their December 3, 2011 meeting in Calgary, at which they agreed to accept the name. On January 31, 2012, the Minister of Culture and Community Services concurred with the board’s decision and the adoption of the name became official. Notification of the adoption of the name Gibb Lake was published in Alberta Gazette on February 29 and it was added to the Canadian Geographical Names Database, ensuring the name appears on new maps of the region produced by the federal and provincial governments. This has been a very interesting naming proposal to work on. The name was made official following nearly two years of research. Since the name was officially adopted and media stories began to appear, new information has been received. Keep checking back to this blog, updates will be posted about the Gibb family’s record of service to their country as more information is discovered and verified. 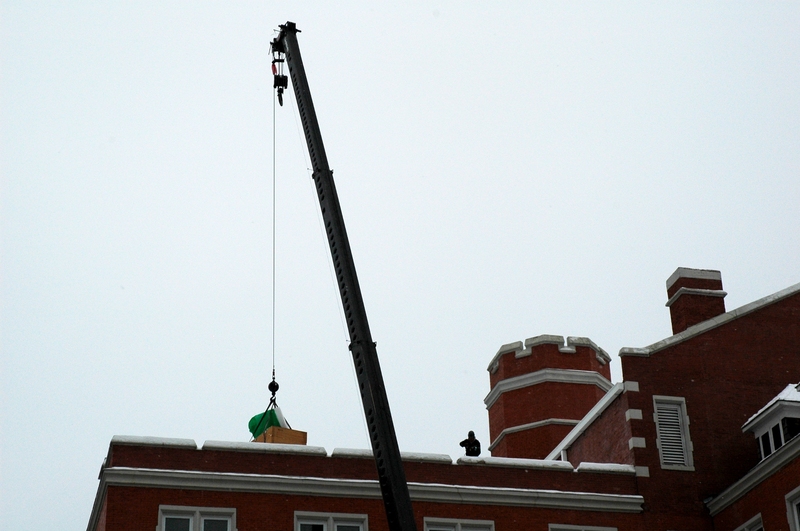 Old St. Stephen’s College, designated a Provincial Historic Resource in 1983, and office of the Historic Places Stewardship Section (the authors of RETROactive), is getting a new roof. The work is compliant with the principles and recommendations outlined in the Standards and Guidelines for the Conservation of Historic Places in Canada. Below is a brief description of the conservation work that will be completed throughout April and May 2012. The roof over the west wing and its multiple hip-roofed dormers are cited in the Statement of Significance as character-defining. The design for the cedar roof replacement may seem straight-forward at first, but when planning this work it was important to consider not only the look, but how the roof would perform. The introduction of new underlay products and flashings were examined in order to better help keep the water out and extend the service life of the roof. In addition to the replacement of the shingles, the opportunity to introduce new weatherproofing materials was presented. Particular areas at risk with this roof were identified, which included the six dormers penetrating each side of the peaked roof, along with multiple valley and ridge flashings. Also complicating the design is the presence of deep gutters with internal drains just behind the brick and cast-stone parapets. A new continuous ice dam membrane underlay was proposed that would be installed from the parapet through the gutter, to the top of the dormers, lapping the membrane up the dormer sidewalls, and to the underside of window sills. This has been likened to installing a weatherproof girdle under the shingles, covering most of the roof surface, to help protect the vulnerable complicated intersections from leaks. The proposed introduction of new underlay material to this roof was confirmed in the Guidelines for Roofs (page 142), where it is recommended to “improve the detailing of roof elements, following recognized conservation methods, to correct faulty details.” Such improvements, however, should be physically and visually compatible with the authentic roof detailing. So, all the boxes are checked with regard to the west wing’s roof replacement and the protection of its heritage values. The Standards and Guidelines for the Conservation of Historic Places in Canada provides a defendable verification that planned work for historic places retains recognized heritage values.